TORONTO – Justin Bieber pleaded guilty to assault and careless driving charges in connection with a collision and altercation with a photographer near his Canadian hometown, his lawyer confirmed on Thursday. The 21-year-old singer, who appeared at the hearing via video link from Los Angeles, received an absolute discharge on the assault charge and a C$750 ($600.00) fine for the careless driving charge. He was also required to pay a C$100 victim surcharge. The pop star had originally been charged with dangerous driving following the August incident, but that charge was dropped. The incident happened during a visit to the Stratford, Ontario, area with pop star Selena Gomez. The two were “disrupted by the unwelcome presence of paparazzi,” his lawyer said at the time. Local media, citing police, reported there was a “physical altercation” following a collision between a minivan and an all-terrain vehicle outside the town. “The assault was described even by the photographer as a couple of slaps, certainly three at the most, that he deflected with his shoulder,” Greenspan said, adding that Bieber acknowledged his responsibility to the judge. 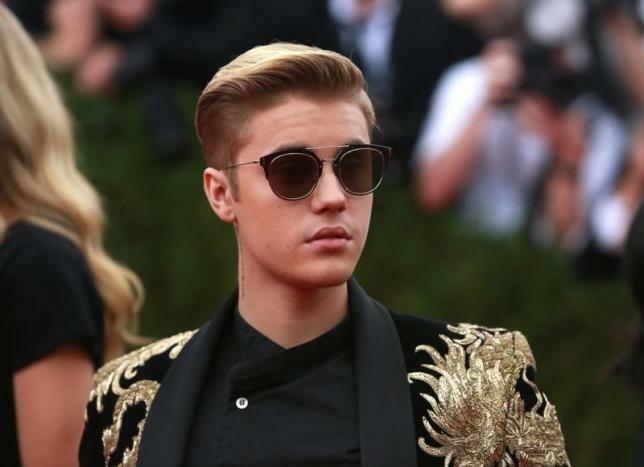 Bieber, whose songs include the hits “Boyfriend” and “Beauty and a Beat,” has been a favorite paparazzi target and has had several run-ins with the law. In August, he pleaded guilty to careless driving and resisting an officer without violence in Florida, part of a deal to resolve allegations that he had been drag racing in a Lamborghini under the influence of drugs and alcohol.